Dear potential customers, current customers, dentists, hygienists, colleagues, friends, enemies, family, past and future lovers. As some of you may know I'm Hamish the founder of BURST. My journey into the world of oral care began at the tender age of 19 when, in a moment of idealistic madness, I set-up my first toothbrush company. At the time I was studying anything but dentistry at University - my friends were understandably surprised. They were even more so when they saw my first product: a toothbrush that could never fall over - a self standing toothbrush for kids! However, nothing could put me off, I became obsessed with the not just my lil' wobbling creations, but the whole industry. My brother says I have the uncanny ability to bore even the most patient into an early grave with all I've learnt, but hear me out, I think you'll like what I have to say. It's been 7 years since I first started in the industry and I've loved the ride. However, over the years, the more of the underbelly of the industry I saw, the more disheartened I became. I grew increasingly tired of the way the industry worked. It frustrated me that big brands (no need to name names) were charging an excessive amount for what I felt was a necessity - good oral health care. Why should something so fundamental to our lives not be accessible to everyone? I'd been to the factories and knew exactly what it took to get a product onto the shelves. It was therefore puzzling me why everything related to 'good teeth' cost so much. There had to be a fairer and more affordable solution that everyone would be able to benefit from. I've learnt quite a lot over the years (my bro would say too much) but even with all that I know I could never be as informed as those who have given their life to oral care. I've never met a group so passionate and caring for their client's well being as dental professionals. They want everyone to look after their teeth to the best of their ability, it's much more than just money in their pocket to them. 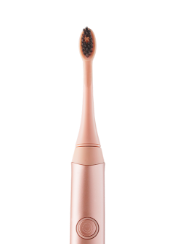 It's these people who really know about oral hygiene - so I sought out their advice to help find a way to offer what they felt was the best total oral care solution, for adults and kids alike. 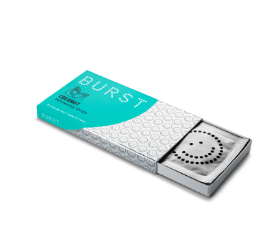 And so BURST was born - the affordable, subscription oral care company recommended to you by your most trusted dental professional. I am proud of what we have created and super excited to share it with you. Here at BURST I've assembled a team of rockstars who'll make sure that your questions are answered, your fantastic products are despatched and that the entire experience is one you'll be wanting to brag about to your friends. We're all about transparency, honesty and being fair with our customers. 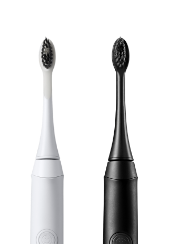 But don't just take our word for it; the BURST toothbrush is actively recommended by thousands within the industry. The oral care revolution has started, I look forward to welcoming you onboard. We do things differently here at BURST. We never settle for second best. The way we support and communicate with our customers through Dental Professionals is utterly unique. We have given the Dental community a voice so they can help us be the best Oral Care brand in the business. Their knowledge is unparalleled and with them we have created a movement which will change the Industry. Everyday we ask ourselves: is our product the best it can possibly be? what else do people need to improve their health? can we work together to be the best team on earth? can we be exceptional leaders who change people’s lives? It’s been no time at all since our first toothbrush flew the nest but we couldn’t have dreamed for a better reception. People love it; they love the subscription, they love the welcoming community that’s been created, but most of all they love that they no longer need pay a premium for premium oral care. And the beauty of it is that it’s not complicated: just a beautiful and effective Oral Care package backed by clinical results. In such a short space of time BURST has been lifted up by 1000s of Dental Professionals across the country. From Dentist to Hygienist to those that work in the offices, these are people with knowledge and experience that one cannot learn overnight. They embody the collective desire for improvement within an industry that has become stale. And the change all starts with a brush that has, with their extensive expertise, been redesigned from the ground up: the perfect blend of function and aesthetics that gives market leading results. With this we have become a community, drawing from all walks of life, helping each other to grow so that we can help patients. It is these tireless Professionals who make affordable Oral Care accessible to everyone. They are proof that when people with diverse skill sets get together we can make a change not only in our own lives but in the lives of others. This is only the beginning. We don’t want to just dream big, we want to be big; big enough to provide a fair and affordable Total Oral Care Solution for absolutely everyone. It’s no small task, but we feel, as a team, that we’re up to challenge. By working with the best Professionals in the Dental community we continue to be able to improve the lives of those around us. All the products that we have today and are designing as we speak are industry-leading thanks to the Professionals that have given so much to BURST. Nina. Oral care nerd factor: 11. Dr Shaun is not your average Dentist. His training is so extensive that it would look ridiculous to put it all down here. Let’s just say he has a degree from UC Berkeley, a doctorate from Loma Linda, and a post-grad certificate in Advanced Aesthetic Dentistry from the highest rated dental school in the country, UCLA. He knows his stuff. And yet, what struck us most when we met him was not all the fancy degrees on the walls (or his ridiculously cute baby boy), but the way he talked about his patients. Dr Shaun genuinely cares about them. He knows how important a smile is to people and how it affects the way they feel. So to improve someone’s smile and see their self-esteem increase is, in his own words, ‘exactly what I do all this for’. The wildest Hygenius you'll ever meet. OK born and raised. Killer tattoos, ask her about them some time.